Have you ridden a self-driving Ford lately? They’re not on the market yet, but Ford President and CEO Mark Fields has been quoted as saying fully autonomous cars could be available for use on U.S. streets in four years’ time – and Ford is already experimenting with them in Michigan. According to a Re/code report, Fields told reporters in San Francisco that Ford should be able to offer vehicles on that time frame that can operate autonomously on roads where high-definition maps are available. Regulatory and legal issues are likely to be the main sticking points. “Technology tends to lead all that,” Fields said. 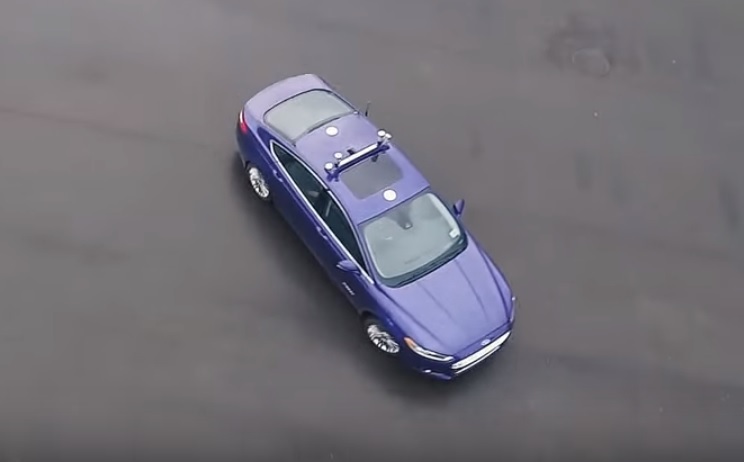 Ford has been testing robo-vehicles for more than a decade, and last week the automaker announced that it’s putting an autonomous Ford Fusion through its paces in a simulated real-world urban environment at the University of Michigan’s 32-acre Mcity research facility. It’s one more sign that Ford won’t take a back seat to Google and Apple in the fast-developing driverless landscape. Get the full story from GeekWire. This entry was posted in GeekWire and tagged Automobiles, Ford, Technology. Bookmark the permalink.